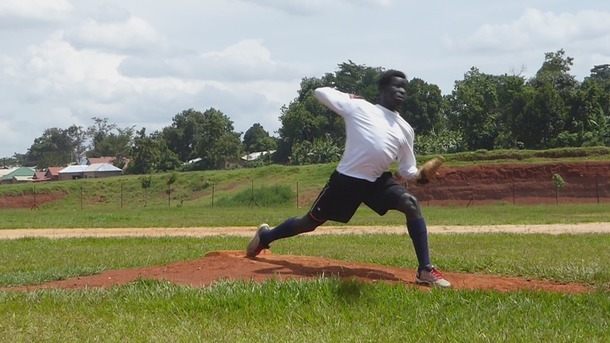 I am omer Michael, 19yrs old a Ugandan by nationality residing in the eastern region of the country soroti, playing baseball for 4years and have love for game now as a pitcher and baseball and softball coach in soroti as per now. I am really greatful for the love and kindness of your contribution and support on the development of baseball in my country Uganda and by giving me this chance and opportunity to be one of the players selected to have training with the Japan players and coaches which has been one of my dreams and all thanks to your kind heart's to fund my facilitation in this programme. As one of my goals to strive for the goodness and development of baseball in my country I'll always do my Best during the training while in Japan, meeting great coaches and player's from Japan so as to widen my knowledge and experience of Japan baseball and cultures is really of great honour to me and my country. Sharing as a baseball family in my country is always my privilege with all the knowledge will have learnt from Japan to build up and change the lives in the society.